I was fortunate to have two of my photographs, "Perfect Composition" and "Artist at Work", selected for the inaugural Allegany National Photographic Competition and Exhibition. 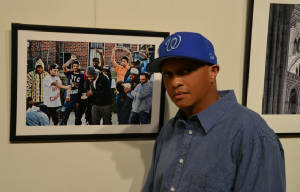 The show was juried by Kenneth Garrett, a National Georgraphic Magazine photographer for over 30 years. 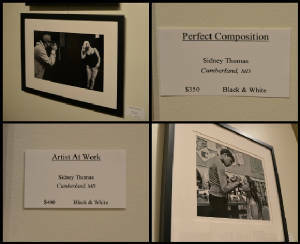 The Annual Tri-State Photography Exhibition took place this year at the Saville Gallery (9 N. Centre Street). My photograph, entitled "Contemporary Cinema", was selected for the show. This year's exhibition was juried by Lynn Silverman a professor at the Maryland Institute College of Art in Baltimore.